Is it Possible to Burn an ISO Image to a DVD Using the Command Line in Windows? People like to work using the Command Line in Windows for various reasons, but is it possible to burn an ISO image to DVD using the Command Line? Today’s SuperUser Q&A post helps a reader get his ISO images burned to DVDs with ease. Screenshot courtesy of MDT Guy (SuperUser). Is it possible to burn an ISO file to a DVD using the Command Line in Windows 7 or 8? If it is, then how would I do it? 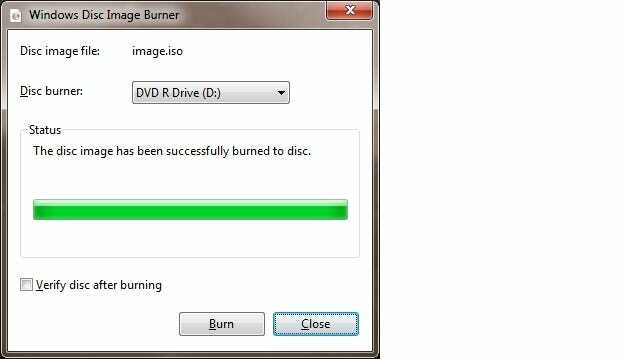 Yes, it is possible to burn ISO files to DVDs from the Windows Command Line, however, you can only do so in Windows 7 and later versions. ISO and IMG image files can be burned in Windows using the Command Line quite easily. First, open the Command Prompt and then type isoburn to access the quick syntax guide. As has been noted in other comments (see thread link below), you do not need to reference the .exe extension since isoburn lives in the System32 folder. While the process can be fired up from the Command Line, this window may still need to be closed manually.